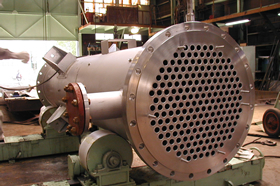 NSSK produces an extensive lineup of products with demanding dimensional precision and quality requirements, including pressure vessels, storage tanks and container tanks for industrial plant systems. Our diverse track record spans fields and industries such as the environment, medicine and energy. 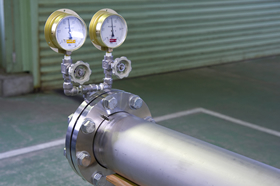 Our high-pressure vessels and vacuum chambers are tested for airtightness and pressure resistance using in-house equipment to ensure high reliability. 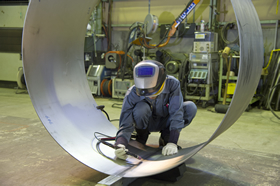 Our prefabricated piping for industrial plants is manufactured and machined in-house. We use materials such as titanium and stainless steel to produce piping designed for use in specific environments, and handle all processes from design through manufacture. 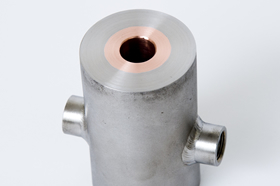 Electrostatic drums are key equipment items for manufacturing electrolytic copper foil, since they affect the foil’s surface and internal quality. 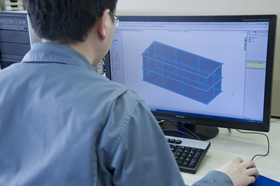 NSSK produces electrostatic drums completely in-house, from design through manufacture. 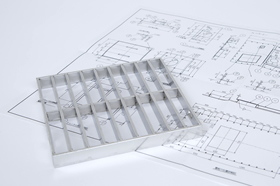 We use original patented manufacturing methods to fill orders for both domestic and overseas customer`s. 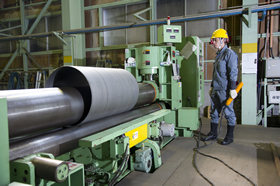 Manufacturing electrostatic drums has given us a wide range of experience and expertise in areas such as design technology, manufacturing technology and quality management. 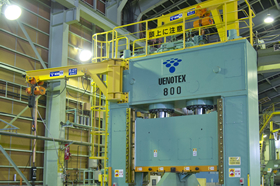 These advances have helped our platework and sheet metal technology. 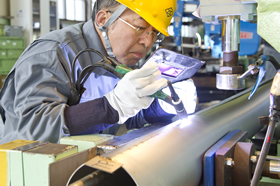 Our expertise in machining, welding and heterogeneous metal welding technologies for titanium, titanium alloys, stainless steel and high alloys has earned us recognition in manufacturing various types of industrial equipment. 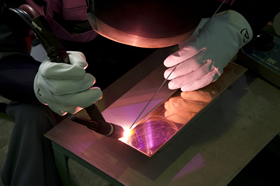 Ongoing R&D on welding techniques is helping us gain more advanced technologies. 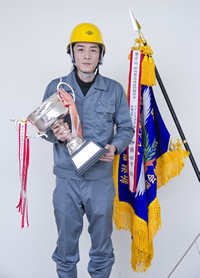 NSSK won first place in the Stainless Steel Category of the 22nd Niigata Prefecture Welding Technology Competition.